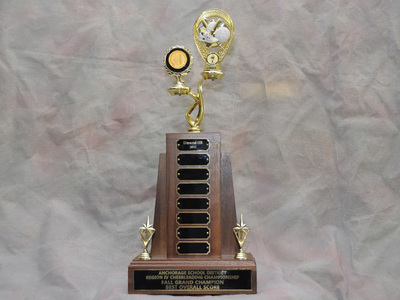 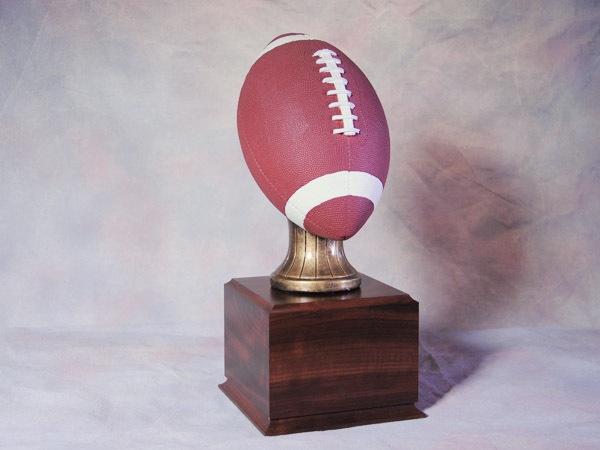 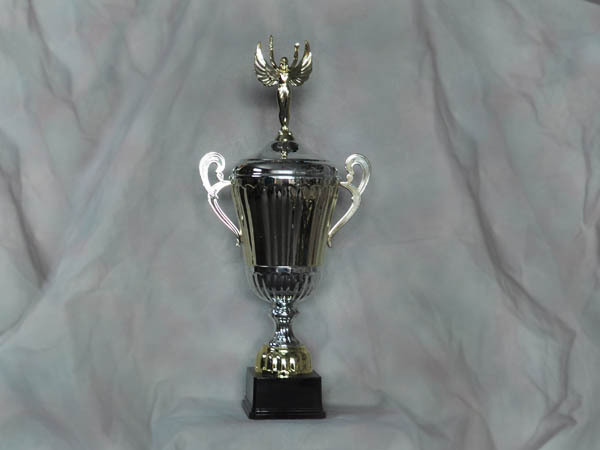 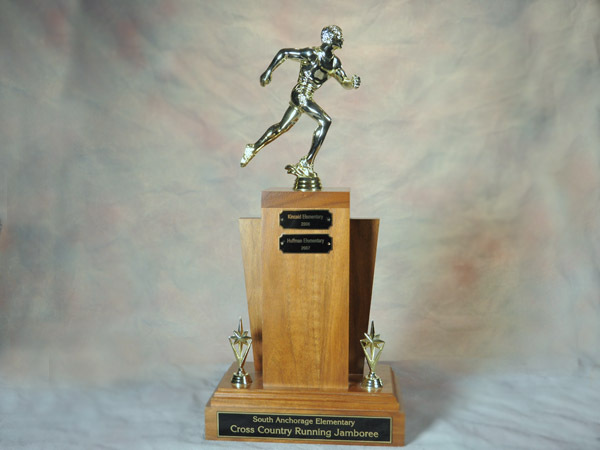 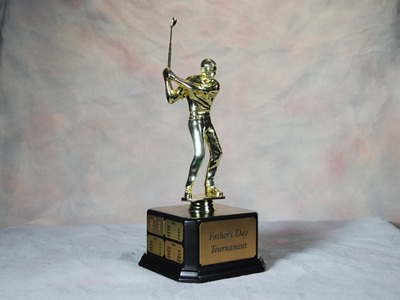 Sports, academic and religious trophies are custom made to your requirements at our store. 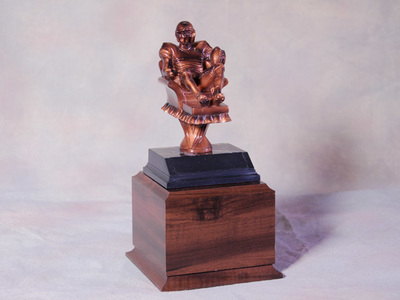 Sizes can range from 6 inches to over 4 feet. 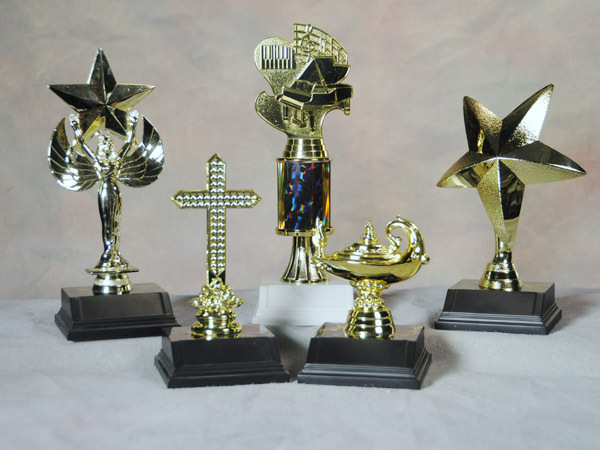 The trophies can have from 1 to 4 columns. 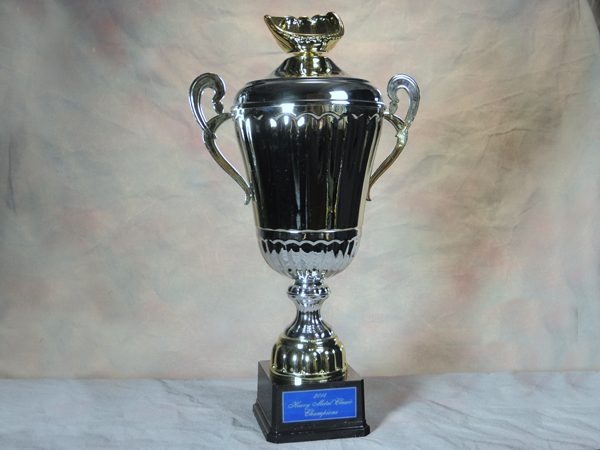 Many colors are available for the columns, backdrops and engraved plates. Please contact us for more samples or information. 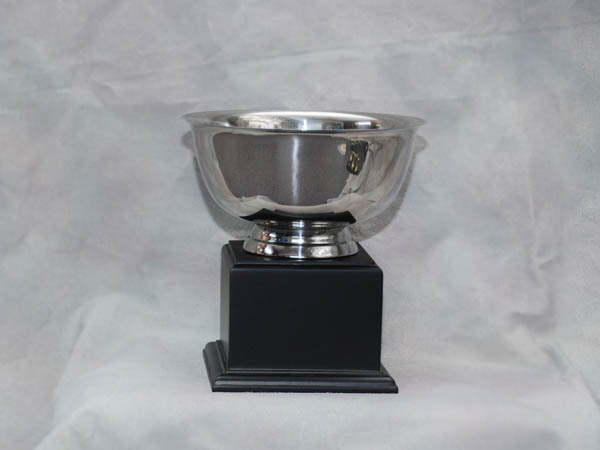 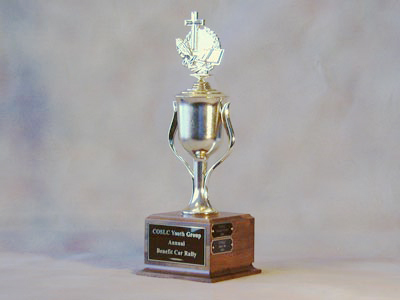 We also have a wide variety of individual trophies​ available to customize.